Sightseeing of Reims and its famous UNESCO Cathedral, the Champagne Grand Cru Villages such as Bouzy, Verzenay, Le Mesnil,... discover the Dom Perignon's tomb in Hautvillers, the Avenue de Champagne in Epernay and enjoy a tour and Champagne tasting at both world famous Champagne houses: Moët & Chandon and Taittinger. 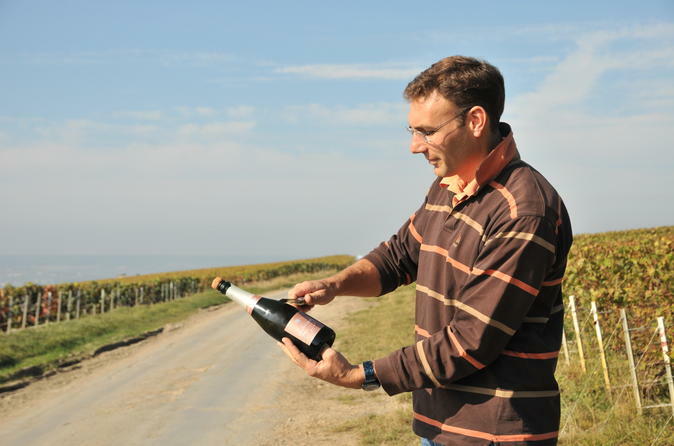 Discover the vineyards and taste all kind of Champagne from great Champagne houses to small producers. Start your day with a sightseeing of the Grandes Maisons de Champagne in Reims followed by a guided tour of Reims UNESCO world Heritage Cathedral. 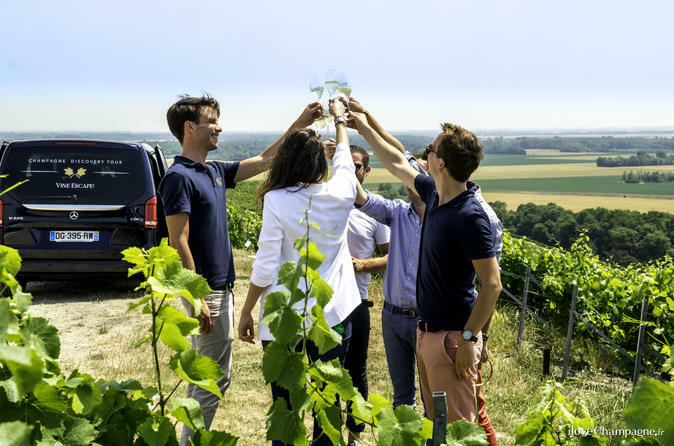 Enjoy a tour and Champagne tasting at the world famous Veuve Clicquot Champagne estate (or Champagne G.H Mumm on Mondays), a Champagne tasting lunch at a small producer, and a tour and Champagne tasting at family estate in the Montagne de Reims vineyard. You will be guided from your hotel or place of arrival and will discover the beauty of the Champagne region and its producers.You will be led to a former Champagne House for a Master class where you will enjoy an introduction to Champagne (process, history, geography) and taste 3 different Champagne producers. We will then drive you to the vineyards to discover the village of Hautvillers where Dom Pérignon used to live. The Champagne boutique winery we will visit afterwards has been selected for its quality. You will enjoy full visit and tasting. Your guide is a Champagne specialist and will tell you all you need to know about the Champagne process, geography and history. Groups are limited to six passengers ensuring a more personalized experience. Discover the vineyards and taste all kind of Champagne, from great Champagne houses to small producers. Today you will take a tour in the vineyards of the Côte des Blancs and see the Grand Cru Villages along the Scenic Route of Champagne. Enjoy a tour and Champagne tasting at the world famous Champagne house Moët & Chandon. Admire the famous Avenue de Champagne in Epernay, the equivalent "Champs Elysées" in Champagne, enjoy a Champagne tasting lunch, tour and Champagne tasting at a family wine maker, and discover tomb of the monk Dom Perignon in Hautvillers. A unique concept: two hours to discover the vineyards aboard a bus while participating in a tasting of champagne and chocolate. It is a master class in pink Champagne and Dark Chocolate. 2 hours of pure indulgence kicking off in the splendid surrounds of Reims. An immersion visit of a vineyard in a original coach, with Picnic meal with Champagne commented upon by a wine grower. 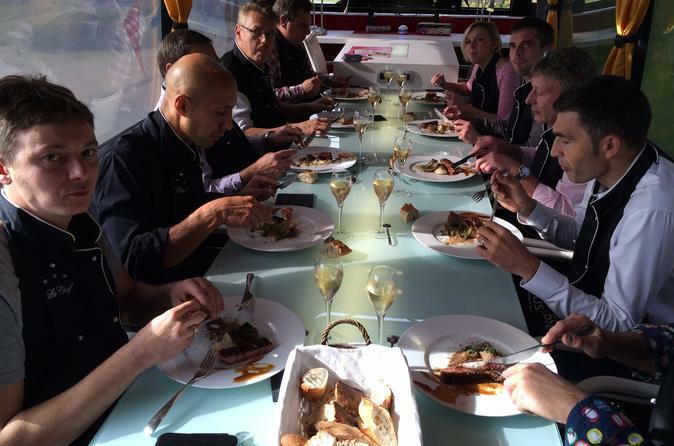 You will have a tasting of regional dishes and a tasting of 3 vintages paired with the meal. The bus will bring you to a stop in one of the following vineyard observation sites : la Côte des blancs, la Vallée de la Marne or the Montagne de Reims. 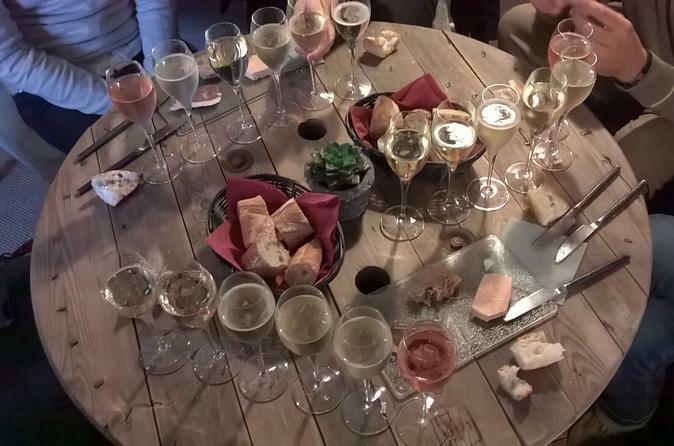 An immersion visit of a vineyard with Picnic meal with Champagne commented upon by a wine grower. You will have a tasting of regional dishes and a tasting of 3 vintages paired with the meal. 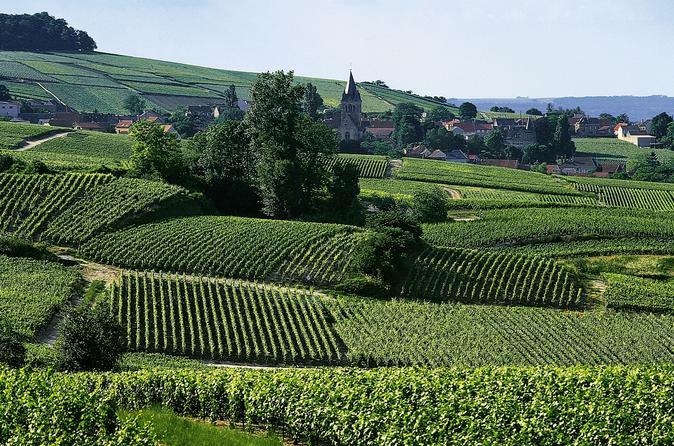 The bus will bring you to a stop in one of the following vineyard observation sites : la Côte des blancs, la Vallée de la Marne or the Montagne de Reims. An immersion visit of a vineyard with a wine grower. 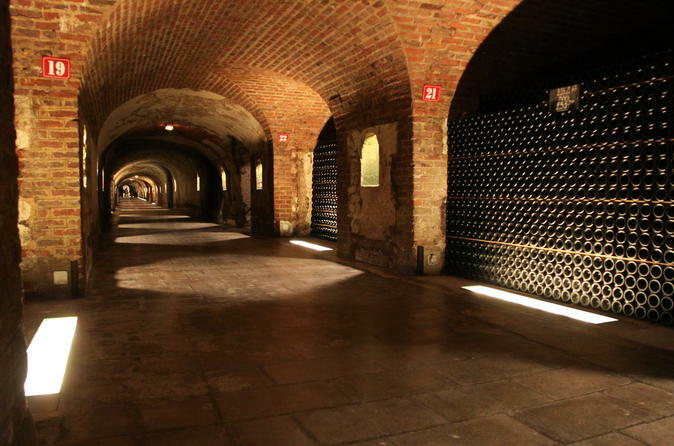 Visit a winery and cellars, Tasting of Champagne paired with the truffle. 1 hour culinary workshop with a chef based on the truffle. You will visit of a Champagne house and the bus will bring you to a stop in one of the following vineyard observation sites : la Côte des blancs, la Vallée de la Marne or the Montagne de Reims. A unique concept from the Tourist Office : two hours to discover the vineyards aboard a bus while participating in a tasting of champagne and chocolate. It is a master class in pink Champagne and Dark Chocolate. 2 hours of pure indulgence kicking off in the splendid surrounds of Epernay. 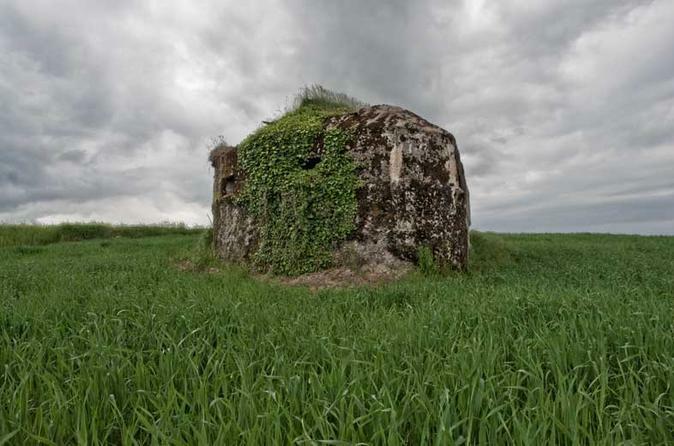 First World War Tours in Northern France, this guided tour is called: Behind the front line. This tour will take 2,5 hours. It's an easy walk mainly on existing paths. We will pass and visit hidden Communication Bunkers, Blinckstellen, Bunkers for canons, Hospitals, Pioneer Camp, all interconnected during the war of 1914-1918. On the way I will read you from the diary of Battalion Dr. Lau who took approximately the same walk to a defensive action on 25 September 1915. 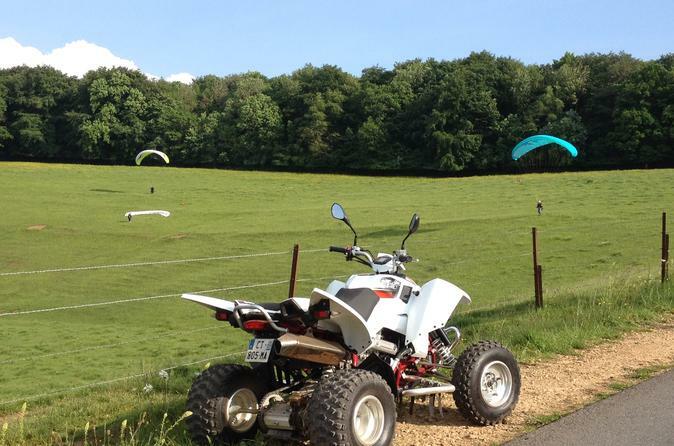 Discover the Ardennes landscape during our ATV Rando hire. You have more than 18 years and are in possession of a license "A" or "B", on board your approved one or two places ATV, you can ride through the Ardennes roads.